Being uber dependent on your computer is a scary thing. No more so do you realize this until you attempt a software update one night and get a spinning wheel of death the next morning when you try and turn it on. Terrifying. My photos! My email! My calendar! Where the heck am I supposed to be today?! I’ve got my fingers and toes crossed that the backup I did a couple weeks ago worked and my dear, sweet, wonderful husband can fix the darn thing. 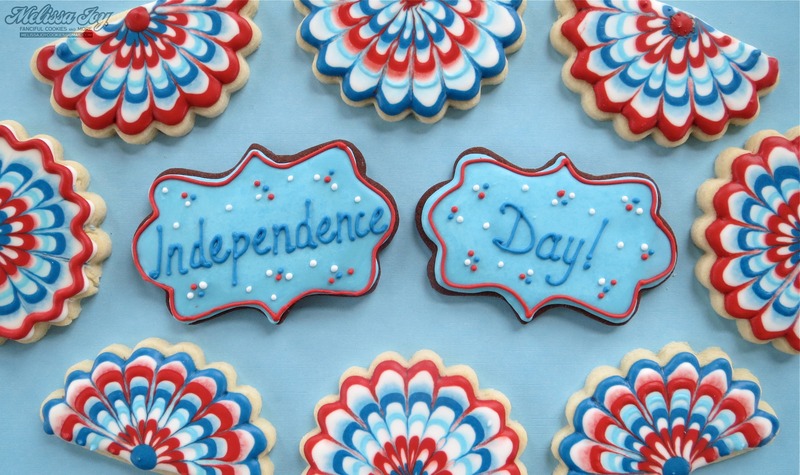 In the meantime, I am relieved to have this old machine working, though very…very…slowly….., to be able to post a few festive cookies I made this week for Independence Day. Yes, the holiday is next week. And yes, it’s hard to believe it is already upon us. Still so much summer merriment to be had! But you’ve got time yet to make a few cookies, so here’s a little something to try if you are so inclined. Of course I’ve got a few more pictures I’d love to share, but they are trapped on my disabled computer. 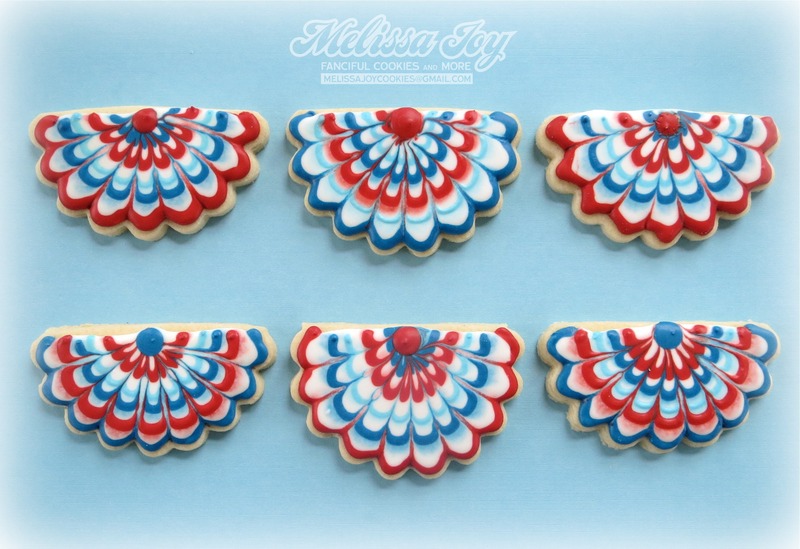 You can see other cookies that would work great for the 4th on a post I did here. Nothing like stars and stripes to get you ready for parades, fireworks, and barbecuing. 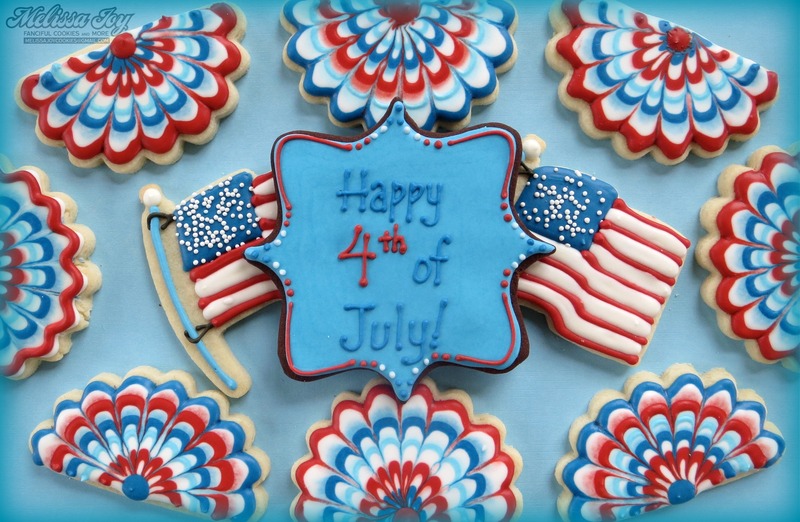 Have a superb and safe holiday! 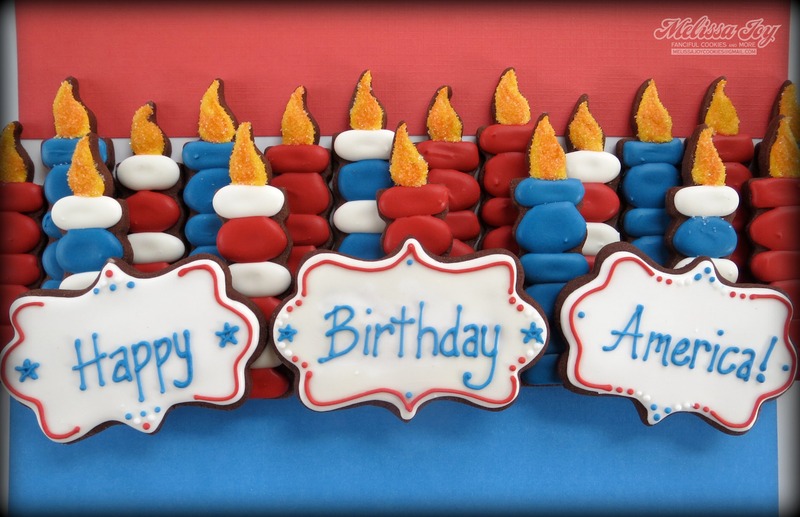 This entry was posted in For Fun Cookies, Fourth of July Cookies, Holiday Cookies, Summer Cookies, Uncategorized and tagged 4th of july cookies, America Cookies, buntings, fourth of july, Happy Birthday Cookies, Indepencence Day, USA cookies, veterans day. Bookmark the permalink. I love the flag on the flagpole! Such a sweet little detail on a great set of cookies! The bunting is so evocative of the real thing.